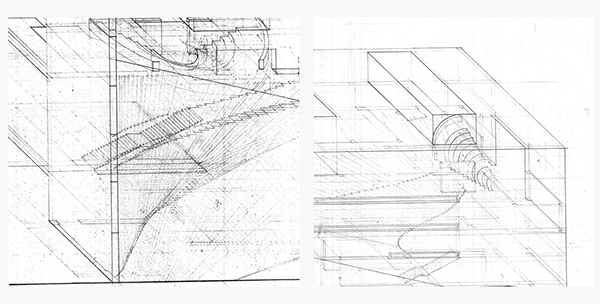 Hand drafted Section Oblique, 48" x 36"
Detailed examination of curving entrance, and amphitheatre void. Detailed digital reconstruction of CRGS, used to explore the hyperbolic paraboloid entrance, and voids. Analysis of void and solid through textile manipulation. 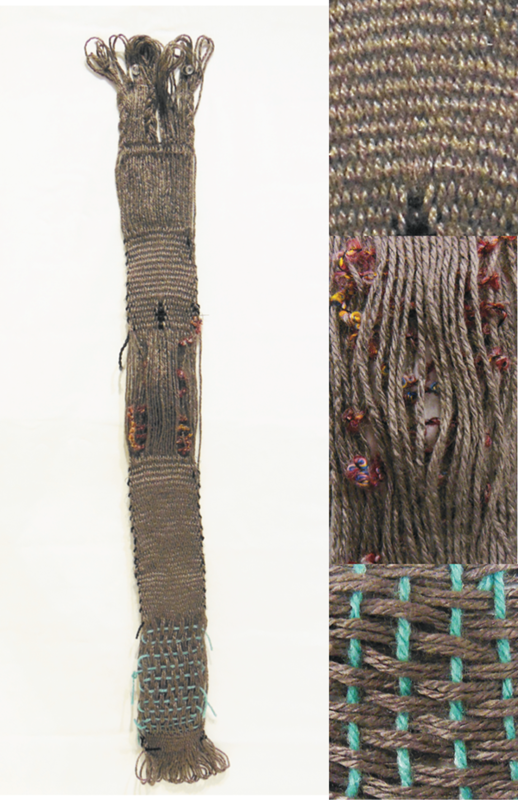 I wove different densities into the fabric by weaving in steel wire, abandoning the warp(red), and loosely woven wool(blue). 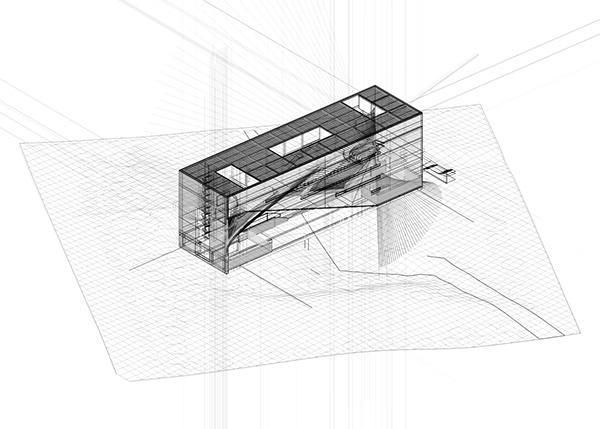 The textile followed the plan of CRGS, isolating a pattern of void, solid and semi-void in the building. My intervention was to re-imagine CRGS as single journey. A thread that has been unravelled and layed out to be seen. 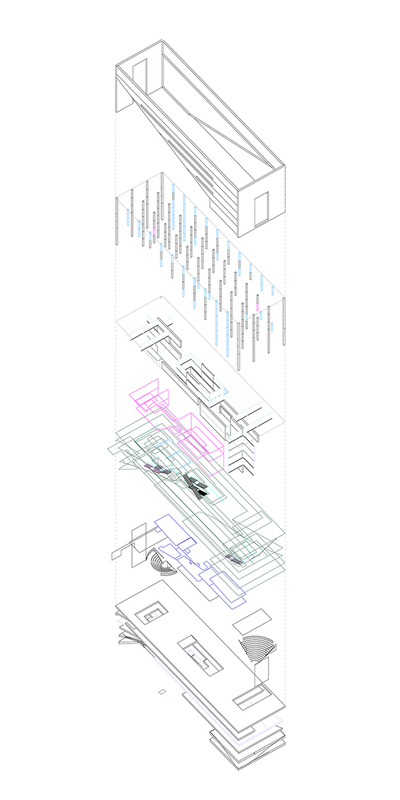 A series of staircases, voids and amphitheatres mediate between different levels. 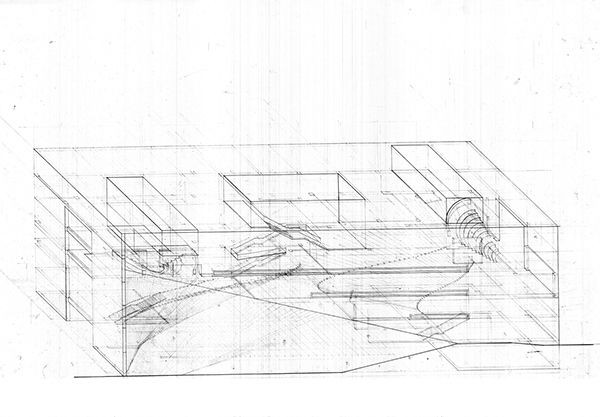 An analysis of Centro Roberto Garza Sada (CRGS) designed by Tadao Ando. 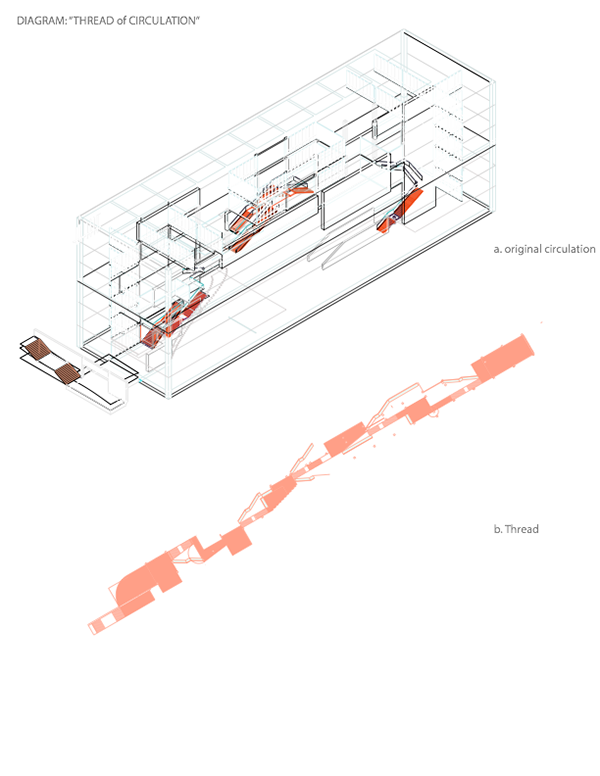 The process included drawing and modeling by hand and digitally to understand relationships and voids, leading to an intervention and unravelling of the building into a single journey. 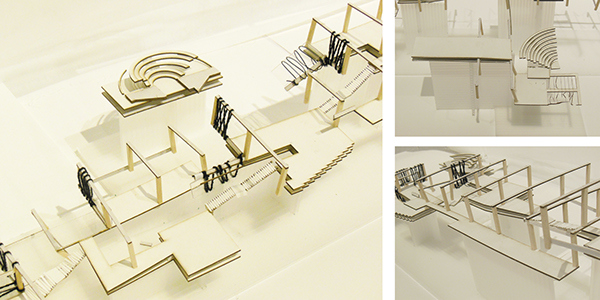 Project for a RISD studio Architectural Analysis, professor Christopher Bardt.